These pictures cover some of the key points in the restoration, which took around 18 months work, spread over about 2 years. 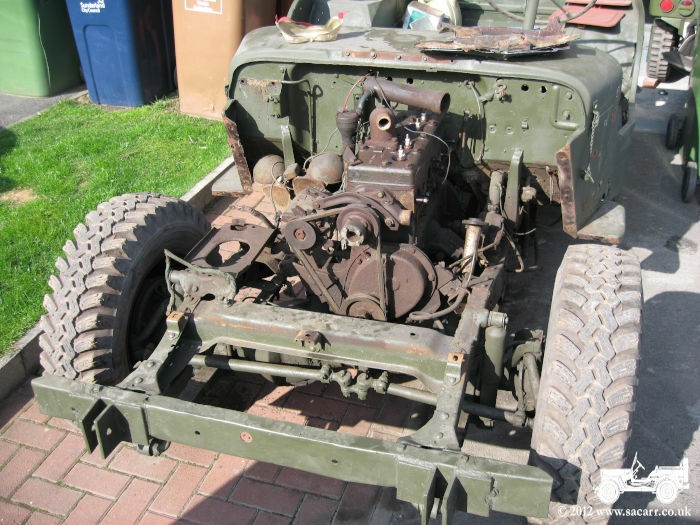 Work began by stripping the tub of its small accessories, followed by stripping the front end to access the engine. 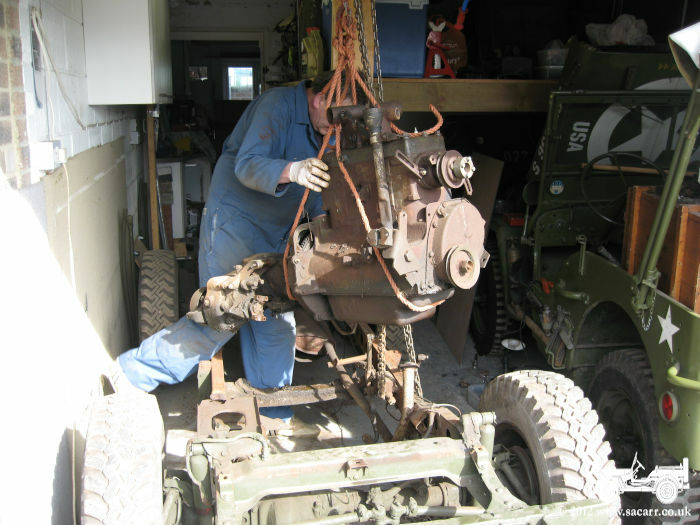 The engine and transmission was removed with the engine being rebuilt by Maurice Jennings and the transmission by Jeffery Engineering. 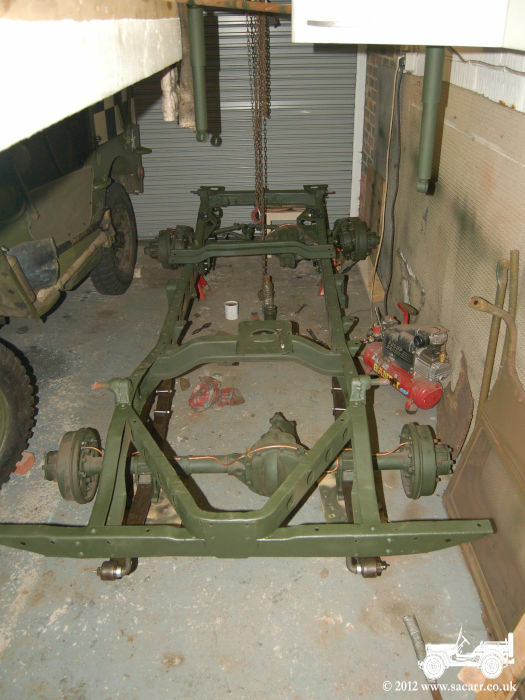 With everything off the chassis, it was sent for blasting and priming while I started to rebuild the axles. 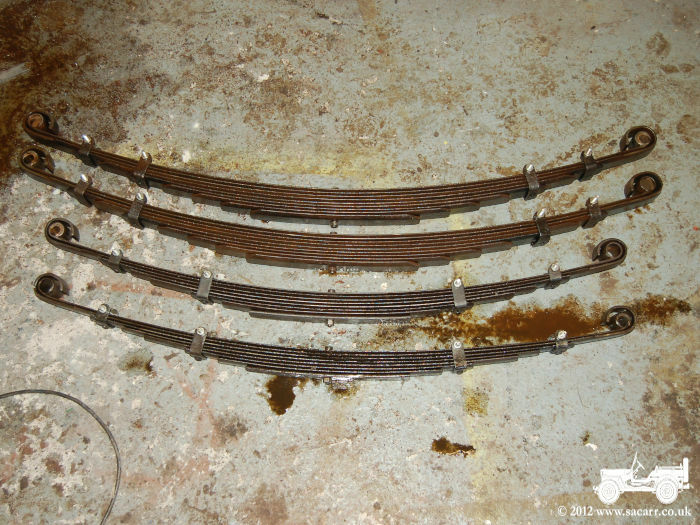 The springs were also completely stripped apart, treated with electrolysis, new clamps made and re-assembled. 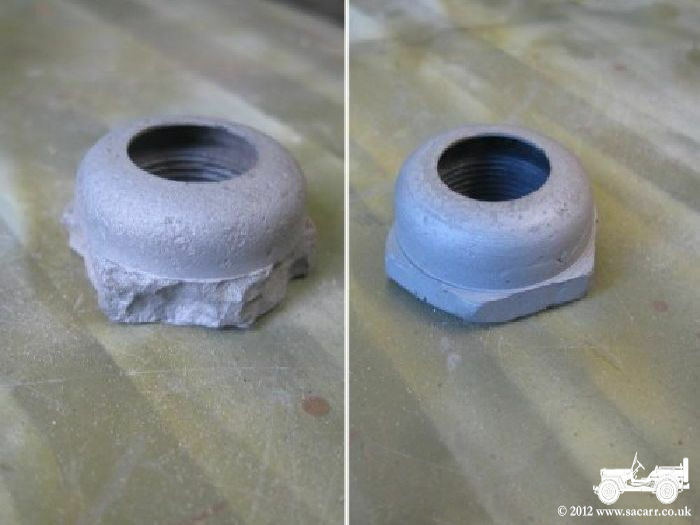 Where ever possible, I tried to save original parts, such as the steering wheel nut seen below. 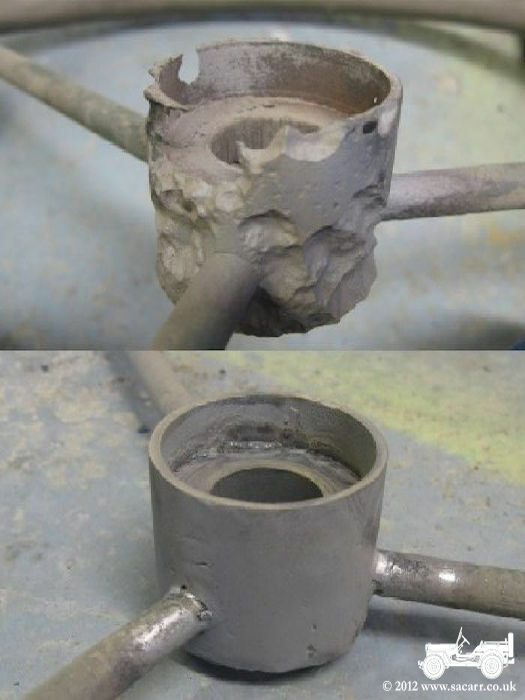 The corroded areas were built up with weld and dressed back down to shape. 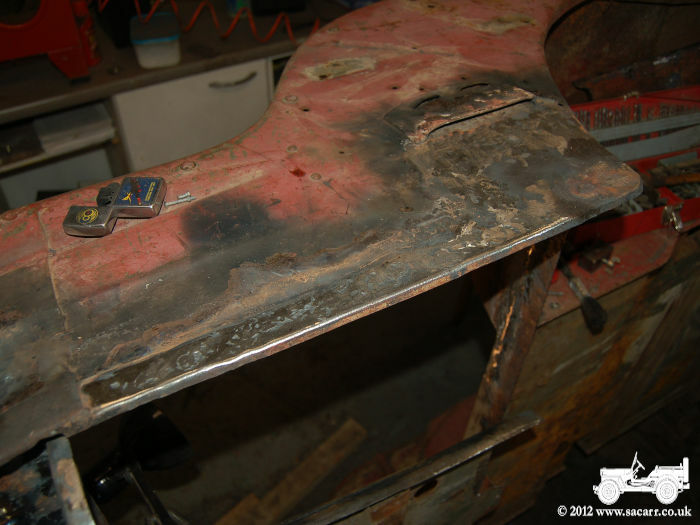 The steering wheel got a similar treatment as the nut, with a new rear collar turned on the lathe and pitted areas filled with weld before reshaping. 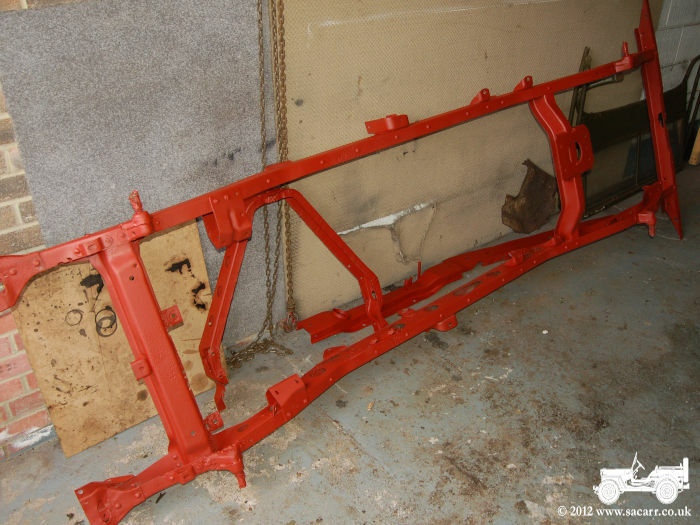 The chassis needed some welding too, done after the blast and prime. This allowed me to see the worst areas, cut them out and replace them. 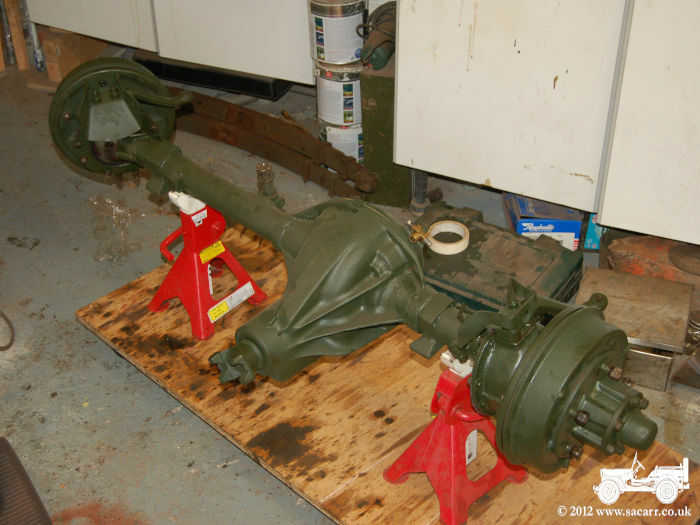 Once done and painted, the springs and axles were refitted, new brake pipes made and the master cylinder fitted. The original body was too far gone for me to repair. 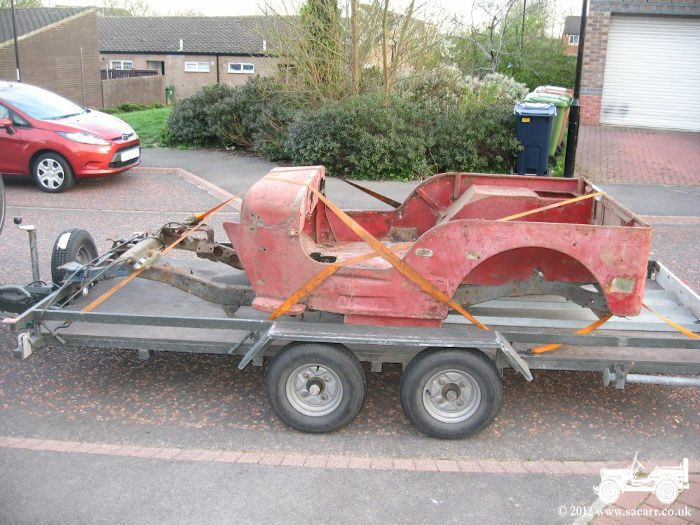 The firewall section was sold to help fund this project and another tub, chassis, fenders, hood and grill were found on Ebay. 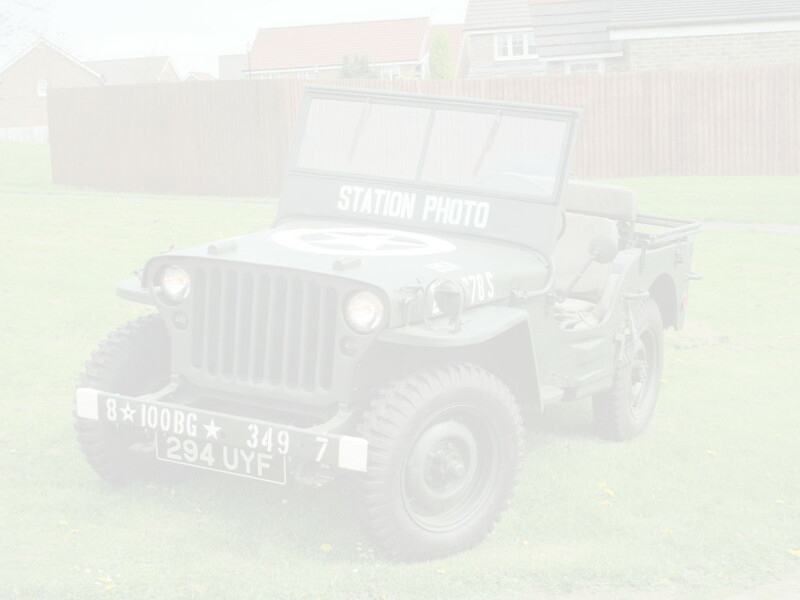 This was an original wartime body, but it needed much less work than the abused original. By the time the spare chassis is sold, the replacement tub will have cost me nothing, and actually made me money. The engine was badly silted up, at least half way up the block. 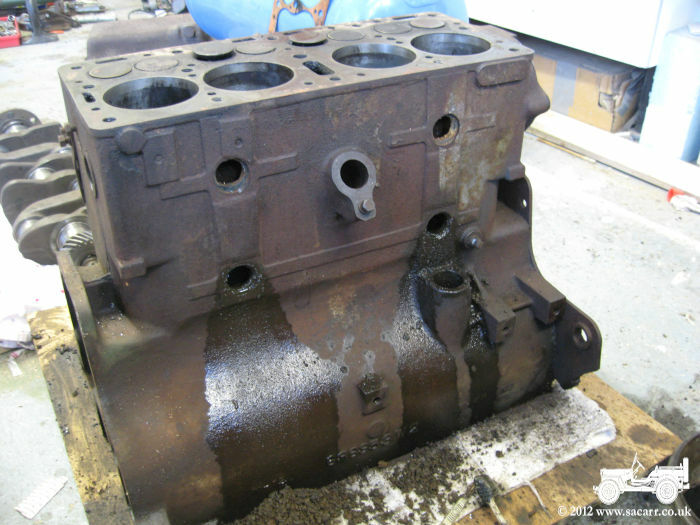 The cylinders had also been bored out, so the block went to the machine shop for the top to be skimmed and the cylinders to be sleeved back to standard size. 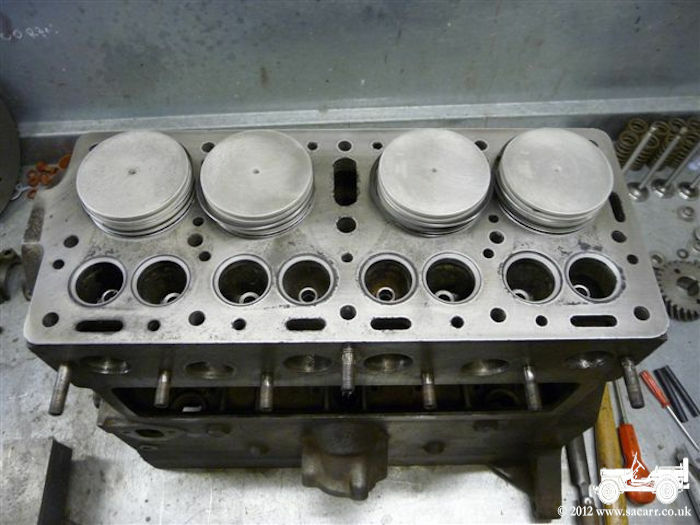 New pistons were bought, along with the parts to return it to a chain driven cam, and as some point, the gear drive conversion had been bodged.